​​​​​​ ​SAN ANTONIO – With a $5 million grant from the National Science Foundation, the University of Texas at San Antonio will tackle one of the 21st century’s imminent concerns: securing the cloud. The Center for Security and Privacy Enhanced Cloud Computing (C-SPECC) will work across disciplines to recruit, train, and guide students into high-demand cybersecurity jobs in the public and private sector. UTSA has the largest open-cloud platform of any university in the country, which allows for real-world testing scenarios and development in both cybersecurity and cloud technology development. 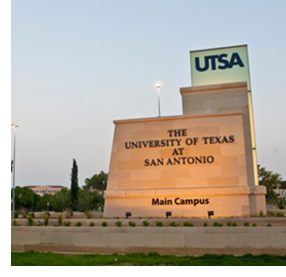 The Pon​emon Institute, which is dedicated to data protection and information security policy, identified UTSA in 2014 as the nation’s leading cybersecurity program.